The Stacking Shelves are an extremely flexible storage item, serving a number of purposes with a deceptively simple design. 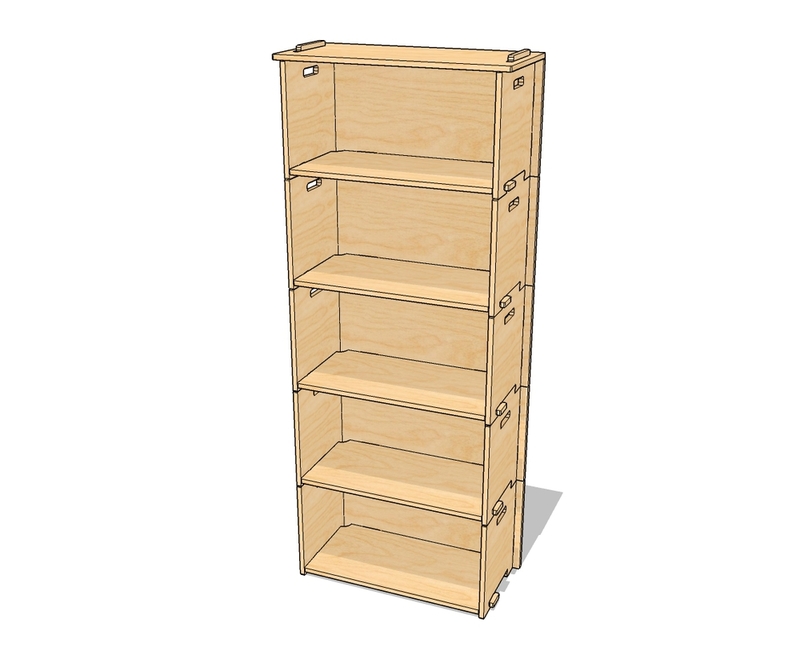 The Stacking Shelves are sized to hold any 3-ring binder, and they'll accept nearly any off-the-shelf canvas bin that you can find at home improvement and big-box stores. They're large enough to hold many computer peripherals, and they have cable openings in the back so that you can pass through wires and power cords. They are sized such that when stacked two-high, they are 29 inches in height, about the height of a standard desk. This is also how they come packaged - two to a box. Stacked two-high, they make a great credenza to sit behind a desk or under a window, holding books, storage bins and even a printer or scanner on top. A single shelf, one unit high, makes a nice bench for below a window in a kids room. Stacked three high, they make a nice standing-height work surface with plenty of storage underneath. Three-high is also ideal for a kids room so that everything is reachable and the unit remains a nice safe height for little ones that try to climb things. 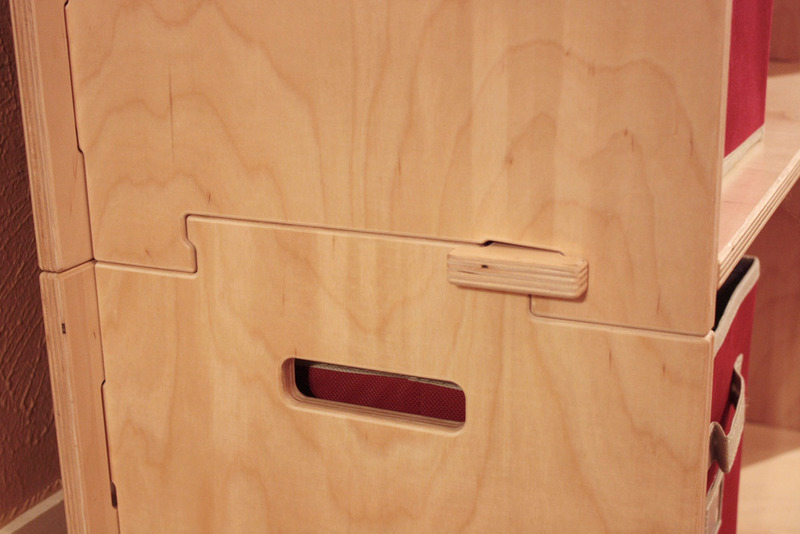 And like all the other Klevr Furniture, they assemble without tools in only a minute or two. They slot and snap together smoothly and solidly using Klevr's patented assembly methods without any friction-fit joints or hammering required. * Note: We don't recommend stacking our shelves more than three-high in a child's room because kids instinctively and curiously climb tall things. In addition, the shelves must be secured to the wall with a retention device like that which is required in earthquake-prone areas. 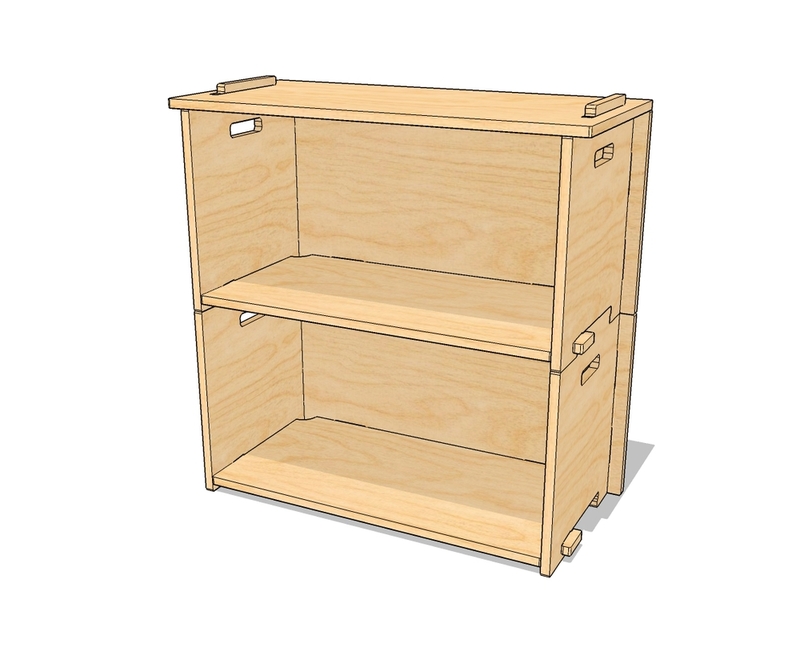 The retention device will prevent the shelves from tipping forward and falling on someone, which could possibly cause injury or death. 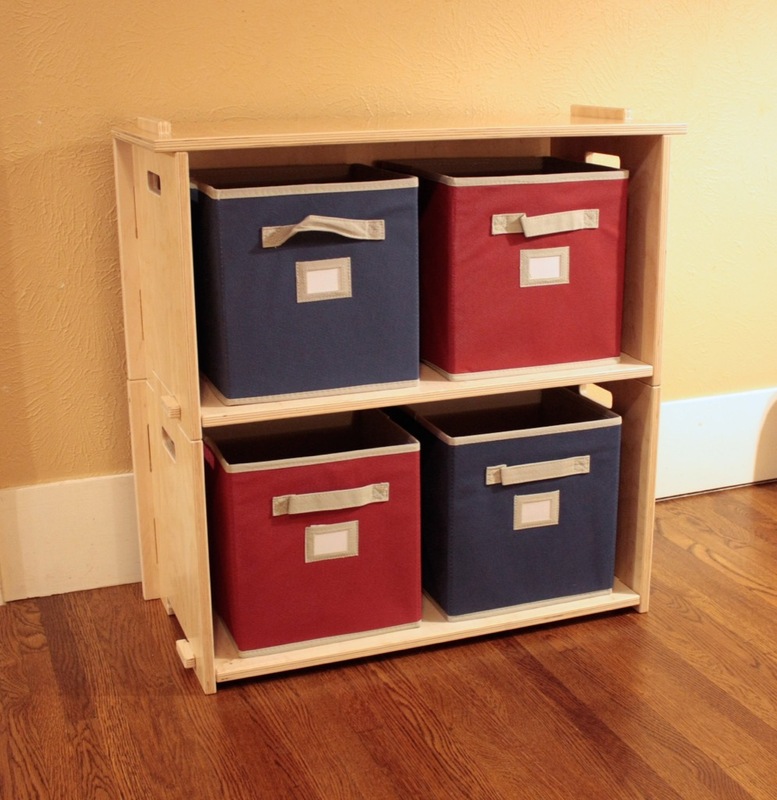 The Stacking Shelves are sold in pairs, and they include a single top cover panel as shown here. So when you order a quantity of "1", you will receive two shelves and one top cover panel.